Requiring nothing but clear precision, the Khaki X-Wind is an intricately designed chronograph, with several subdials used to track several subdivisions of time. The bezel and main dial serve additional purpose of measuring time and the date aperture keeps the day and date clear for reading. 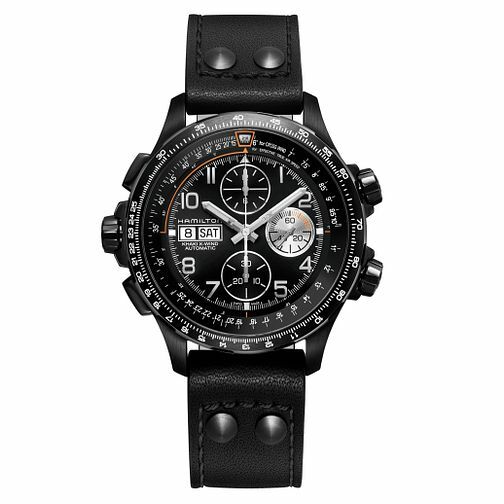 Finished with a black leather strap, this is a performance piece for those who fly high and require precision as a matter of principle.